Ever experienced having problems on your website because it has been hacked? Or perhaps, it has been infected by some Malware? These are just some of the most highly problematic things that site owners get to experience. In fact, there is a chance that your site isn’t the only one that is going to be affected. Instead, it is also possible that some of your customers may experience problems as well. Could you imagine your site being the cause of identity theft among your customers? This could easily destroy your reputation as a company. The good news is that you can do something about it. By now, web owners should consider it a reality when they run their website. As rule of thumb, you want to make sure that your website is live 99.9% of the time. It is important to get someone who can perform malware cleanup and clean hacked websites. With our years of experience, we have offered help to different websites. Probably, it is a good idea to have your website checked if you suspect that it has some malware that could potentially bring it down. According to experts, the more rich and interactive your website is, the more prone that it is to attacks. It is quite common for a lot of web owners to provide a great user experience for their visitors in order to increase engagement and even conversion. Unfortunately, highly complex websites are 10 times more likely to be compromised according to a study conducted by Wharton School of Business and SiteLock. It is also possible that you could be dealing with malware coming from the server’s vulnerabilities. These are instances wherein even visitors can become compromised. It is also important to know what kind of malware has infected the website. One of the most common examples of a malware is a virus. A virus spreads into websites and computers and can infect files. It is known to crash your entire website and it also hides even in advertisements. Next, a Trojan horse is another type of malware that is disguised as a legit file or software. What it does is that it can even modify and delete your files completely. 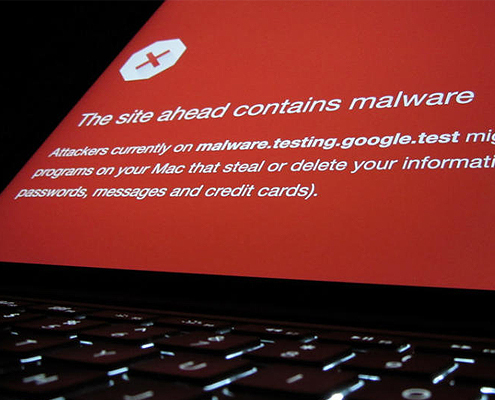 There are different reasons why malware is used in order to infect your site. It can be used to hijack a person’s computer or information and even steal someone’s personal information via your website. These are just some of the most common reasons why you will need to act fast if you think that your website is already compromised. Our malware cleanup tool has been known as one of the best in the industry. We have offered our services todifferent individuals and organizations. Our cleanup tool provides not only the necessary cleanup and restoration of your affected website. We also make sure that we investigate how exactly the attackers have entered the website. This way, we will be able to provide a concrete solution in order to avoid this kind of problem from taking place again. We also provide a detailed report of the investigation and the removal. What we do is to provide a checklist that you can do in order to avoid future potential attacks. Unlike other experts that don’t offer swift action to your problems, we have the necessary tools and expert who can make sure everything is going to be back live running smoothly on your website. You can guarantee results within a few hours from our services. There are 74.6 million websites that are dependent on WordPress. In fact, this isn’t surprising at all. WordPress makes the website easy to manage and update. Unfortunately, there are also common problems that may affect its performance. There are instances when some parts of the site are infected by malware. That’s where our services come in. We provide the necessary help in order to bring the site back to life. We provide the necessary checks in order to understand what caused the vulnerability and what can be done to avoid this problem from appearing again in the future. Our experts are known for having a proactive approach to fixing malware problems. We provide you with the latest and best solutions in the industry including preventive steps on how you can make sure that your site runs perfectly fine and away from any future attacks. Having your website running perfectly according to your customers’ expectations is of utmost importance. Given the highly competitive nature of today’s World Wide Web, customers expect your website to be safe and easy to use. And since it is a reality that complicated and interactive websites are prone to attacks, it is imperative to take consider malware removal seriously. Your site could be hacked using a malware that could affect how you run your business. For these problems, feel free to contact us. We are more than happy to assist you. Why choose us if you are having an infected website? With years of experience in the industry, you can make sure that your site is in good hands. We offer some of the best malware cleanup services in the industry today. Unlike other companies that simply remove the malware, we provide more than what is expected from our services. You can get all the information that you need. You will be able to understand what made the website vulnerable and prone to attacks. By doing so, you will be able to reduce the downtime on your site. It also means that your customers and visitors can have full confidence making a purchase on your site. They don’t have to worry that their information is compromised. We have helped a great number of websites ranging from businesses to personal websites. Expect only the best from us. You can expect our services to be done swiftly and effectively. We recognize the fact that time is gold and you could easily lose more customers and traffic the longer your site experience these technical issues.